Nanoparticulate systems are widely used for site-specific drug and gene delivery as well as for medical imaging. 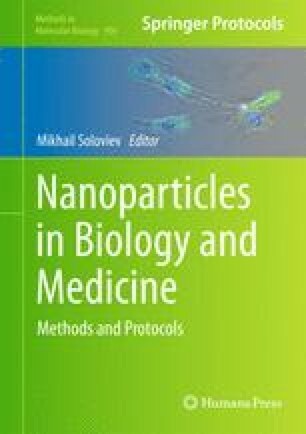 The mode of nanoparticle-cell interaction may have a significant effect on the pathway of nanoparticle internalization and subsequent intracellular trafficking. Total internal reflection fluorescence (TIRF) microscopy allows for real-time monitoring of nanoparticle-membrane interaction events, which can provide vital information in relation to design and surface engineering of therapeutic nanoparticles for cell-specific targeting. In contrast to other microscopy techniques, the bleaching effect by lasers in TIRF microscopy is considerably less when using fluorescent nanoparticles and it reduces photo-induced cytotoxicity during visualization of live-cell events since it only illuminates the specific area near or at the plasma membrane. Financial support from the Danish Agency for Science, Technology and Innovation (Det frie forskningsråd for teknologi og production), reference 274-08-0534, and Leica Microsystems (Ballerup, Denmark) are greatly acknowledged.